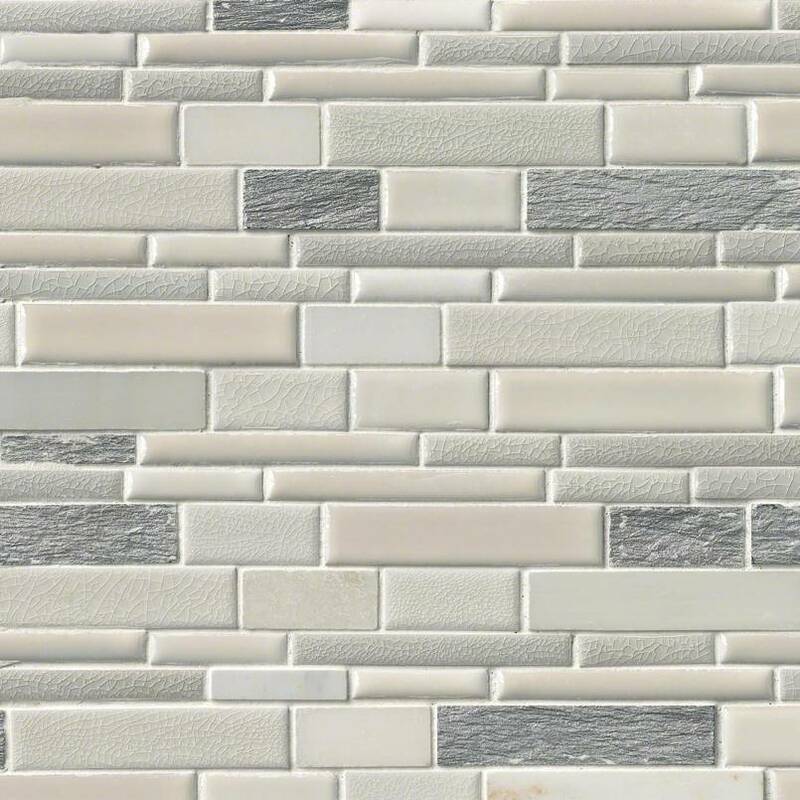 Everest Interlocking is a porcelain blend tile mosaic that features distinctive shades of off-white and is accented with misty gray throughout. Everest Interlocking 12x12 Pattern 8mm is from our Arabescato Carrara Marble collection and blend of Porcelain mosaic. The color pattern and combination makes this a great choice for your backsplash and accent walls. With the 12 in. x 12 in. Everest Interlocking Porcelain Stone Blend Mosaic Wall Tile, it's easy to add a splash of contemporary styling to your decor. This attractive tile features a seemingly random arrangement of tile and stone strips on a 12 in. x 12 in. mesh sheet that makes installation a much easier process. Trendy white marble blended with crackly porcelain chips and metallic painted slate creates a sleek look. Install this tile to incorporate a distinctive personal signature in a wide variety of designs and patterns.